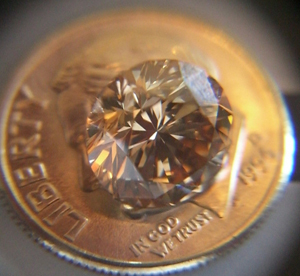 Brown diamonds are the most common colored diamonds mined worldwide. They are also the most affordable of all the fancy colors. 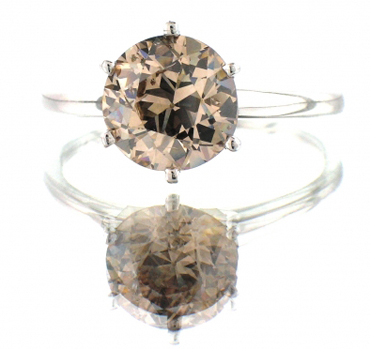 With marketing pushes from larger retailers, brown diamonds are growing in popularity and are used in a variety of jewelry designs. From intricate pavé styles to rustic rose cuts, brown diamonds highlight many designer collections. Cause of Color: Cause of color is attributed to internal graining, which is caused by structural irregularity in a diamond’s crystal lattice. 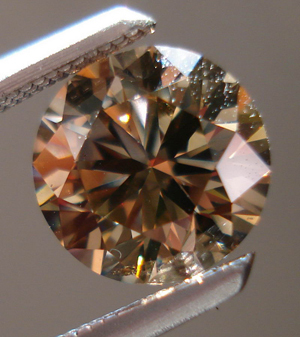 Secondary Colors: Common secondary colors in brown diamonds include yellowish brown, orangish brown and pinkish brown. 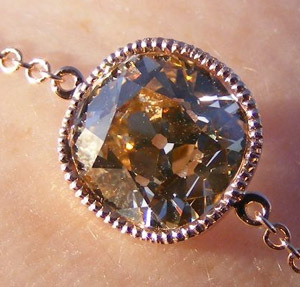 Rarity: Brown diamonds are the most common fancy color diamonds mined worldwide. Fancy Brown, Fancy Dark Brown and Fancy Deep Brown. 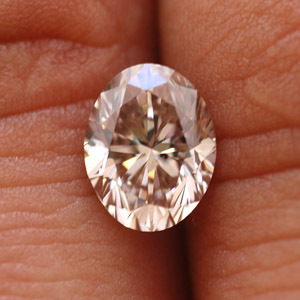 Brown diamonds that show less color than “Z,” but more color than “K” graded diamonds are called Faint through Light Brown: K-M Faint Brown, N-R Very Light Brown, and S-Z Light Brown. Trade Terms: Gem grade brown diamonds were a rarity before Australian Argyle mine production in the 1980s, as most brown diamonds were mined for industrial use. Using the terms “Champagne Diamonds” and “Cognac Diamonds,” dealers marketed these stones for use in jewelry. 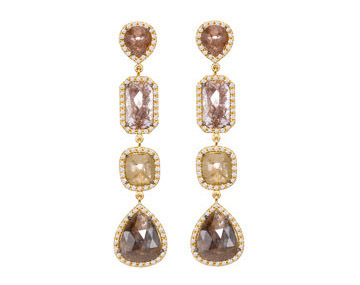 “Chocolate Diamonds” is the latest term via a push from Le Vian‘s popular brown diamond jewelry. 6 Brown Diamonds, Which do you like best? Anyone heard of “top brown” diamonds? Will GIA grade a diamond Fancy Intense Brown? Have more questions about fancy color diamonds? 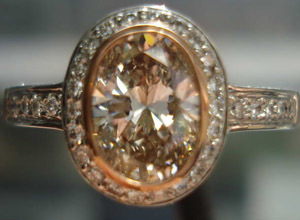 Click on the links below or visit our Fancy Color Diamond Guide. What is a fancy color? How are fancy colors graded? What causes color in diamonds? Fancy diamond color and price?